TheGunBlog.ca — Canada’s Senate is likely to approve Bill C-71 in winter or early spring, CTV News reported today, citing the sponsor of the planned law to further curtail the privacy and freedom of hunters and sport shooters. “I am confident that it will pass, eventually,” Senator André Pratte told CTV News in an interview today. A group campaigning to suppress the rights of gun owners held a press conference in Ottawa today to call on the Senate to accelerate its analysis and passage of the proposed law, the news organization said. Bills approved in the House of Commons and Senate require royal assent before they take effect as law. The “controversial” bill will go to a senate committee for review in the “next few days” before the upper chamber of parliament takes its Christmas break, CTV News quoted Pratte as saying. He supports the bill. Prime Minister Justin Trudeau proposed Bill C-71 in March to make it harder for Canada’s 2.2 million men and women with federal firearm licences to buy, sell, transport and keep guns. Its measures include the immediate prohibition and eventual seizure of rifles from as many as 15,000 owners and the requirement for all private gun sellers to report themselves and potential buyers to the federal police before each sale. A public-relations company that advises the government has said that new restrictions on licensed shooters present an “untapped opportunity” for Trudeau and his Liberal Party to win votes in next year’s election. Andrew Scheer, the leader of the opposition Conservative Party, has pledged to repeal Bill C-71 if he is elected prime minister. “Many Senators have received a lot of emails and correspondence… but that’s normal for a piece of legislation that is controversial,” Pratte said. Pratte told TheGunBlog.ca last week in an e-mailed reply to questions that he expects Bill C-71 to be reviewed by the Senate Standing Committee on National Security and Defence. Canada marks the 29th anniversary of the Ecole Polytechnique massacre this week, an annual reminder of the value of being armed and trained to protect innocent life. The country’s politicians and police have made this almost impossible to do legally. Bill C-71 creates new crimes and penalties for well-intentioned hunters, farmers and sport shooters. 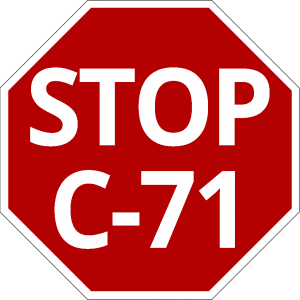 Show you oppose Bill C-71 on social media. Support the only political party that opposes it. Join at least one national shooting or provincial hunting association. Subscribe to TheGunBlog.ca online. Follow us on Twitter: @TheGunBlog. Update Dec. 4 at 20:07 in Toronto: Adds senate committee member affiliations. Update Dec. 4 at 21:07 in Toronto: Removes senate committee member affiliations.